, persecuted or murdered by the Nazis. 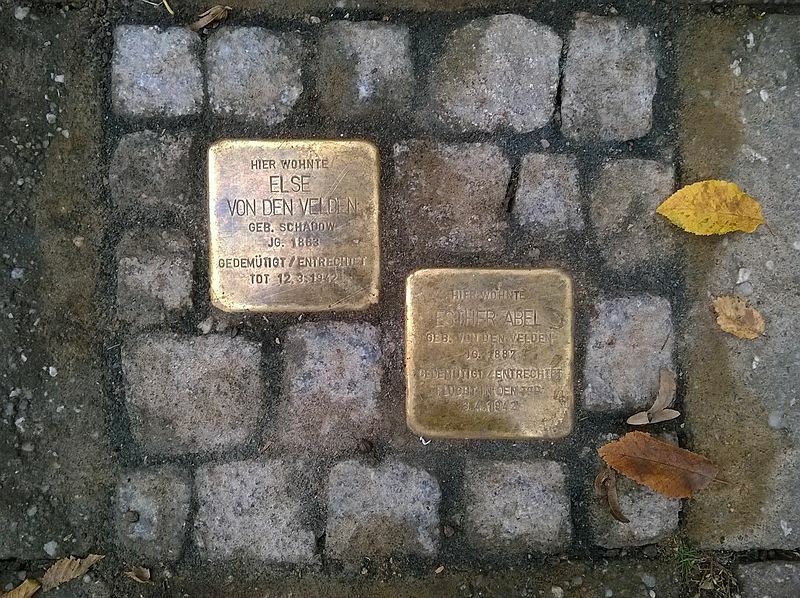 The small brass plaques of 10 by 10 cm, in the pavement in front of houses of which the (mostly Jewish) residents were persecuted or murdered by the Nazis, mention the name, date of birth and place (mostly a concentration camp) and date of death. In many other cities and villages, mainly in Germany but also in other European countries, the memorials also can be found. There are already many thousands of these plaques and their number is still counting. Almost all Stolpersteine are laid by the German artist himself, Gunter Demnig.